The 2019 Honda Ridgeline RTL-E in Fontana, CA, is an amazing truck for work, play, and everyday activities. Take your friends and family members on a fun weekend road trip. With a comfortable spacious interior and a large truck bed, you will be able to go on new adventures with the people you love. The 2019 Honda Ridgeline RTL-E does not compromise on looks or comfort. This truck offers amazing technology and driver assist features to make life a little easier. In addition to a fantastic look and experience inside, this new truck gives you amazing power, more control of your fuel economy and the high-quality Honda efficiency that drivers love. Come test drive here at Rock Honda in Fontana, CA today! The 2019 Honda Ridgeline RTL-E near Rancho Cucamonga, CA, has soft leather-trimmed seats in a variety of available options depending on the exact car you choose. This truck is available in several colors, including Deep Scarlet, Obsidian Blue, Forest Mist Lunar Silver, and many more. Match your interior and exterior look to your personal style and preferences. Enjoy music, podcasts, and audiobooks using the Ridgeline’s 450-watt premium audio system, which includes eight speakers and a subwoofer. The built-on Truck-Bed Audio System makes this truck perfect for tailgating, going to drive-in movies or for entertaining yourself and others at a work site. 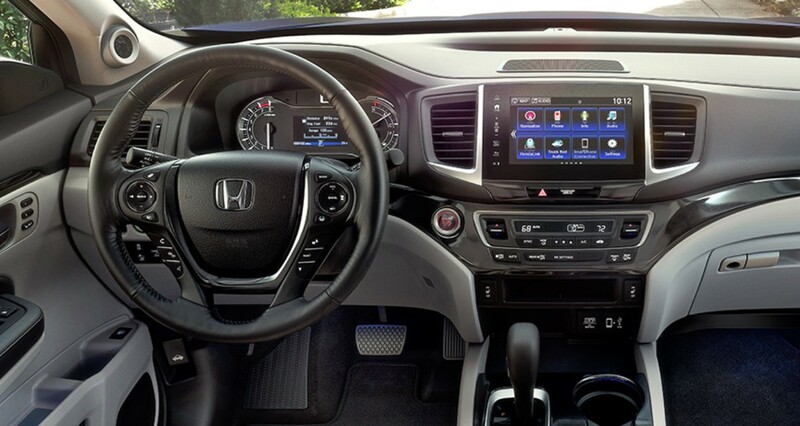 Make your trips safer by using the car’s Honda Sensing® technology, which features a ton of driver assist and safety features. Honda Sensing® comes with a collision mitigation system, lane keep assistance, adaptive cruise control, and a road departure mitigation system. The 2019 Honda Ridgeline RTL-E has a 3.5-liter V6 engine that delivers up to 280 horsepower and 262 lb.-ft. of torque. It also has the Intelligent Variable Torque Management™ (i-VTM4) AWD System and a six-speed automatic transmission. Check out 2019 Honda Ridgeline RTL-E inventory near San Bernardino, CA, at Rock Honda in the Inland Empire. When you arrive, we will help you pick out the right car but taking you on a tour of our lot. Test drive a 2019 Honda Ridgeline RTL-E near San Bernardino, CA, and get a feel for everything this amazing car has to offer. 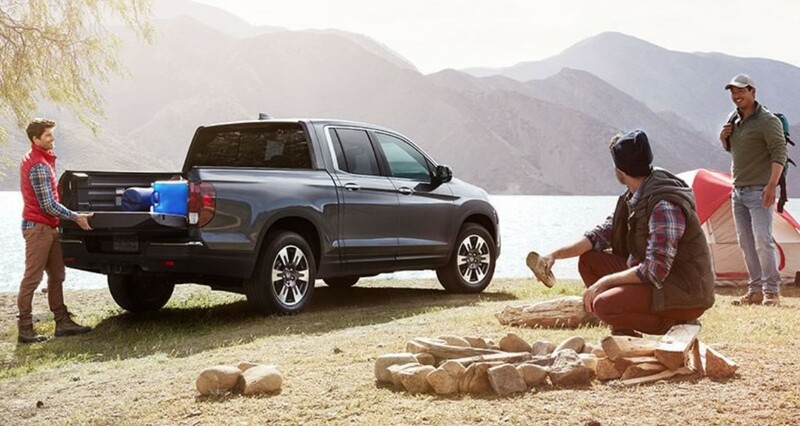 Once you decide you absolutely must have the new Ridgeline RTL-E, we will help you secure a financing option. Customize your next truck and ask us about available accessories and add-ons. Be sure to bring your new car back to us in the future for maintenance and repairs or detailing services. Stop by Rock Honda today- we are conveniently located near Rancho Cucamonga and San Bernardino, CA!